I have only ever painted my houses white. 100% brilliant white. It makes everything look bright, sparkly, clean and minimal. However it’s time for a change. I am embracing grey. Ok, admittedly not a radical colour, but beautiful none the less. 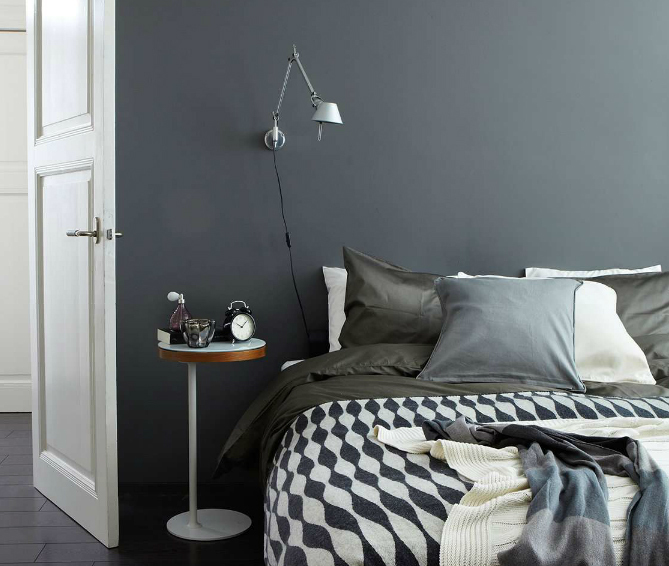 I am going to brave it and paint my bedroom walls in Farrow & Ball’s Lamp Room Grey. It looks elegant and modern, especially when teamed with white woodwork and vintage furniture, like this lovely bedroom featured in LivingEtc. Image House to Home LivingEtc. 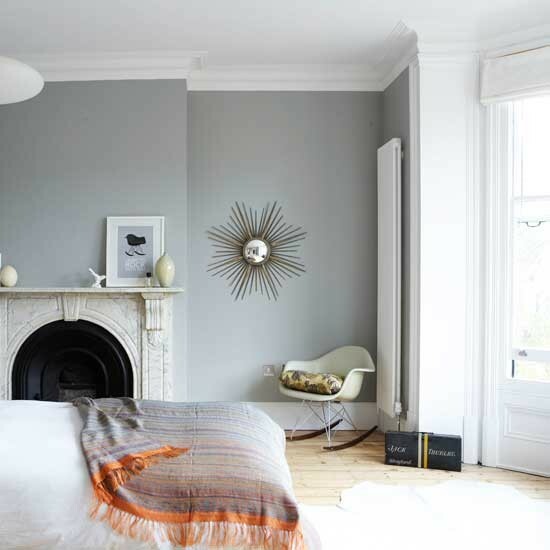 Walls in Lamp Room Gray by Farrow & Ball. Grey’s work really well when used with wood and textures. Image House to Home Ideal Home. Rug M&S. Bed Ikea. This is such a pretty shade of grey! Definitely one of my favorites. It is lovely – can’t wait for my bedroom to go from white to lovely grey!